Shane Oliver, Head of Investment Strategy and Chief Economist at AMP Capital, is responsible for AMP Capital's diversified investment funds. He also provides economic forecasts and analysis of key variables and issues affecting, or likely to affect, all asset markets. While the government will reduce the amount of money you can put into super from 1 July 2017, the good news is that you could still take advantage of opportunities before the financial year ends. The Australian Government’s May 2016 Federal Budget proposals and several subsequent modifications to its plans around super reform passed through both houses of parliament at the end of November. With new regulations set to become part of Australian superannuation law, some of the rules around super contributions and the tax breaks available will change from 1 July 2017. Initially, the government planned to introduce a $500,000 lifetime cap on after-tax (non-concessional) super contributions, which it will no longer be implementing. Instead, an annual after-tax contributions cap of $100,000 will be put in place, replacing the current cap of $180,000. Those under age 65 will still have the ability to bring forward three years’ worth of after-tax super contributions, with a maximum of $300,000 under the bring-forward rules. The before-tax (concessional) contributions cap will decrease from $30,000 (or $35,000 if you're turning 50 years of age or older this financial year) to $25,000 per year for everyone, irrespective of age. If you’re converting your super into a pension to derive an income in retirement you’ll be restricted to a limit of $1.6 million in your tax-free pension account, not including subsequent earnings. If you already have a balance above that, the excess will need to be placed back into the super accumulation phase, where earnings will be taxed at the concessional rate of 15%, or taken out of super completely. 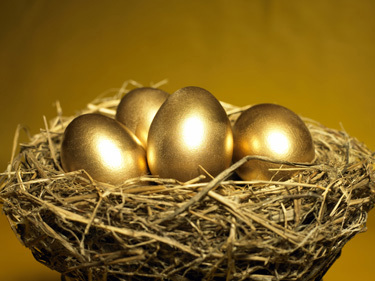 Investment earnings on super fund assets that support a pension are currently tax free. However, this will no longer apply to transition to retirement (TTR) income streams. Earnings on fund assets supporting a TTR income stream will be subject to the same maximum 15% tax rate that applies to accumulation funds. In the video below, Shane Oliver, Head of Investment Strategy and Chief Economist, AMP Capital provides an overview of the key changes and what these could mean for investors. The before-tax super contributions cap will be reduced from $30,000 per year (or $35,000 if you’re turning 50 or over before 1 July 2017) to $25,000 per year, for everyone, irrespective of age. This means, depending on your circumstances, there is an opportunity to contribute an additional $5,000 (or $10,000 if you’re turning 50 or over) in before-tax super contributions than what will be possible before the cap is lowered at the end of the 2016 financial year. The after-tax super contributions cap will decrease from $180,000 per year to $100,000 per year. This means you could contribute $80,000 more in after-tax super contributions than what will be possible when the after-tax super contributions cap is reduced on 1 July 2017. If you’re under age 65, you could also bring forward three years’ worth of after-tax contributions up to a maximum of $540,000, which is much higher than the $300,000 limit that will apply from the 2017 financial year. Australians are living longer and with many needing to fund a longer retirement as a result, adding to your super could make a difference to the lifestyle you lead in the years after you finish working. By comparison, the maximum annual Age Pension rate for a single and couple is currently $22,804 and $34,382 respectivelyii, keeping in mind not everyone is eligible for government assistance. If you contribute money to super that exceeds the super cap amounts, it will be taxed at a higher rate and an interest penalty will apply. You can find out more at the ATO website. The value of your investment in super can go up and down. Before making extra contributions to your super, make sure you understand and are comfortable with any risks associated with your chosen investment option. Learn more. There are other ways to help boost your super. Learn more. There may also be benefits to making spouse contributions. Learn more. To find out how reforms to the superannuation system could affect you, speak to your financial adviser. i https://www.superannuation.asn.au/resources/retirement-standard The figures in each case assume that the retiree(s) own their own home and relate to expenditure by the household. This can be greater than household income after income tax where there is a drawdown on capital over the period of retirement. Single calculations are based on female figures.